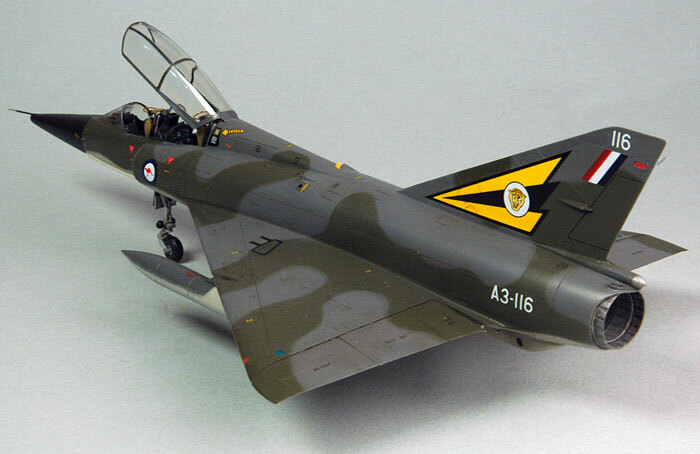 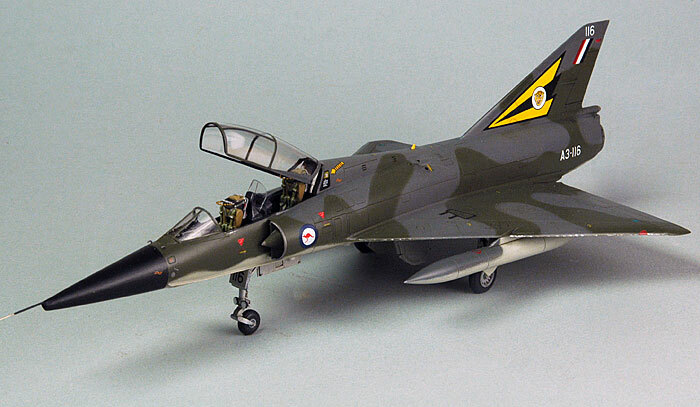 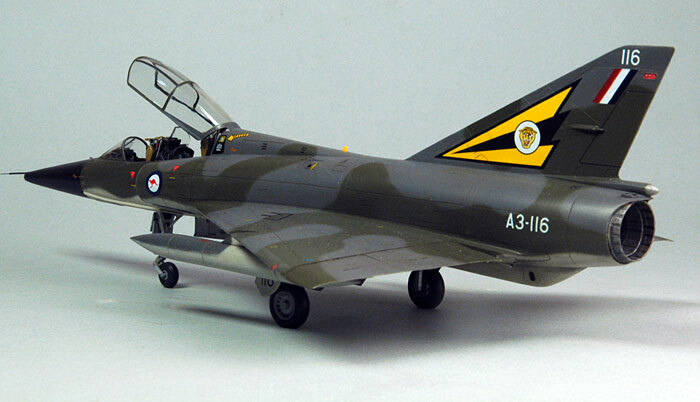 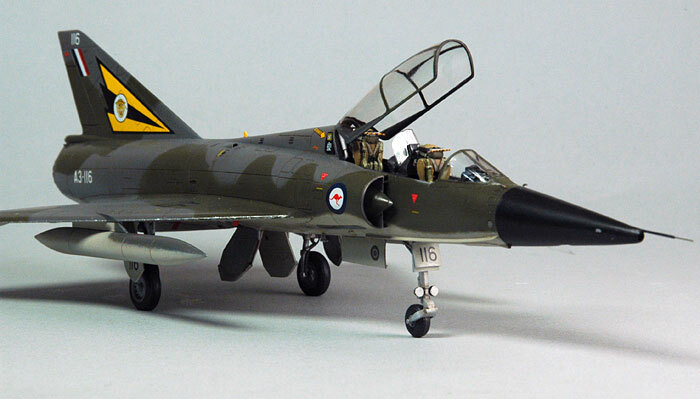 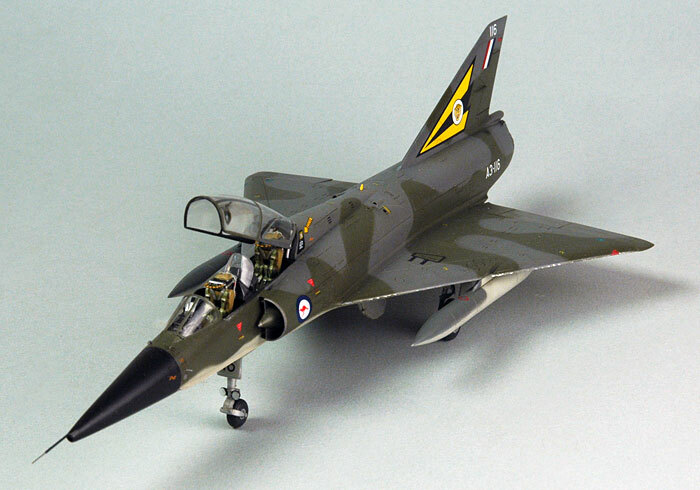 Here is Mike Prince's 1/48 scale GAF Mirage IIID, finished as a machine in service with 2 OCU RAAF. 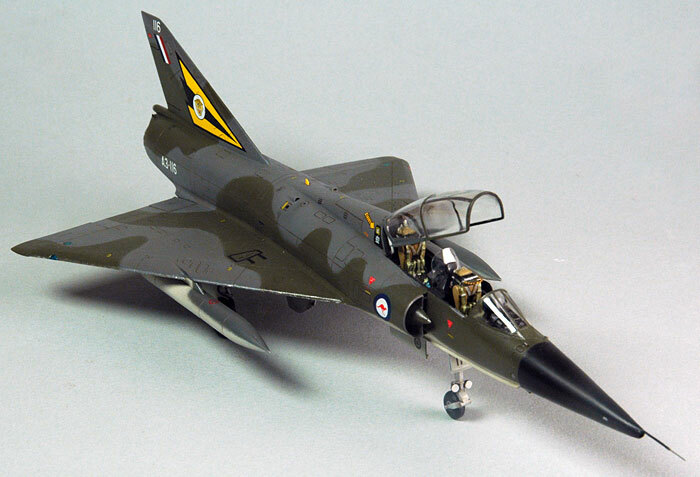 The model has been built using elements of the Heller Mirage IIIC/D and Eduard Mirage IIIC kits, plus the Red Roo resin conversion. 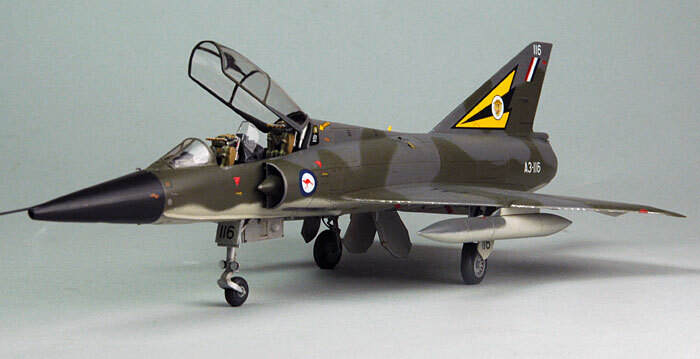 This model was photographed at the recent NSW Scale Model Expo 2006 at Koonawarra south of Wollongong.